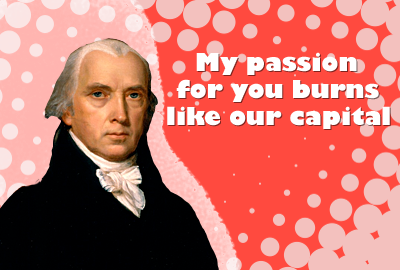 Click on the banner above to go to the James Madison homepage at the University of Virginia's Miller Center. 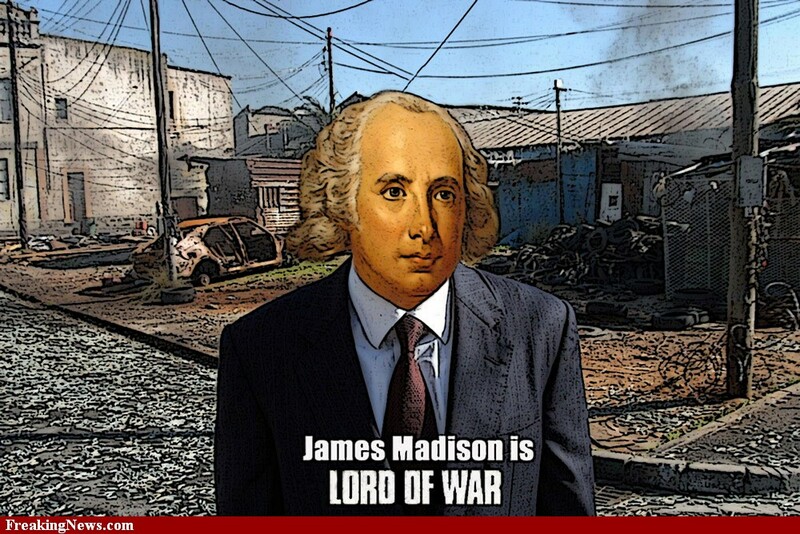 Click on the buttons below for in-depth information about Madison's Presidency. Madison was the first President to wear trousers rather than knee breeches. Madison was the first of 12 children, five of whom died in infancy or childhood. 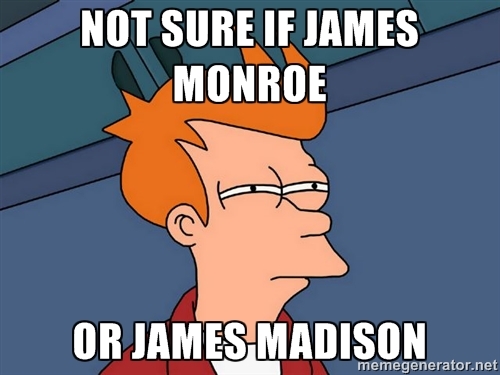 Growing up, Madison's family called him "Jemmy" so as not to confuse him with his father, James Madison, Sr.
Seventeen U.S. Presidents did not have middle names. 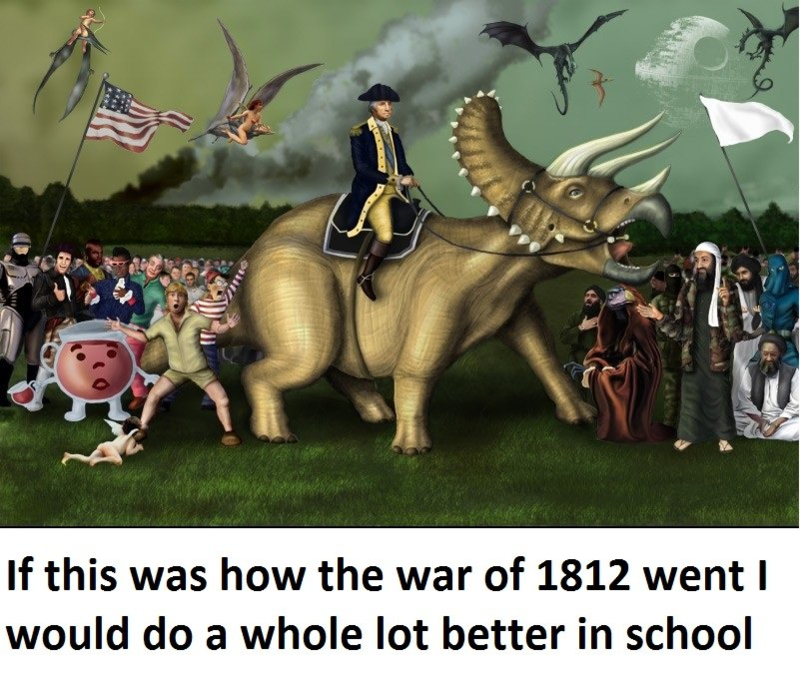 Madison was one of them. Madison was related to George Washington, who was his half first cousin twice removed... whatever that means. Madison and Zachary Taylor were also related (second cousins). Madison appears on the $5,000 bill, which was last printed in 1934. Currently, only 342 $5,000 bills exist. Madison was one heck of a writer. 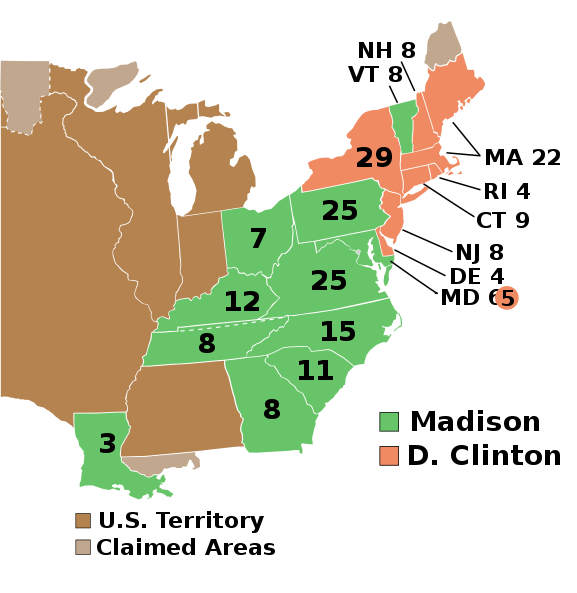 To his credit are the U.S. Constitution, the U.S. Bill of Rights, several of the Federalist Papers (that argued in favor of ratifying the Constitution), and the Virginia Resolution (that put forth the concept of nullification against any unjust Federal laws). 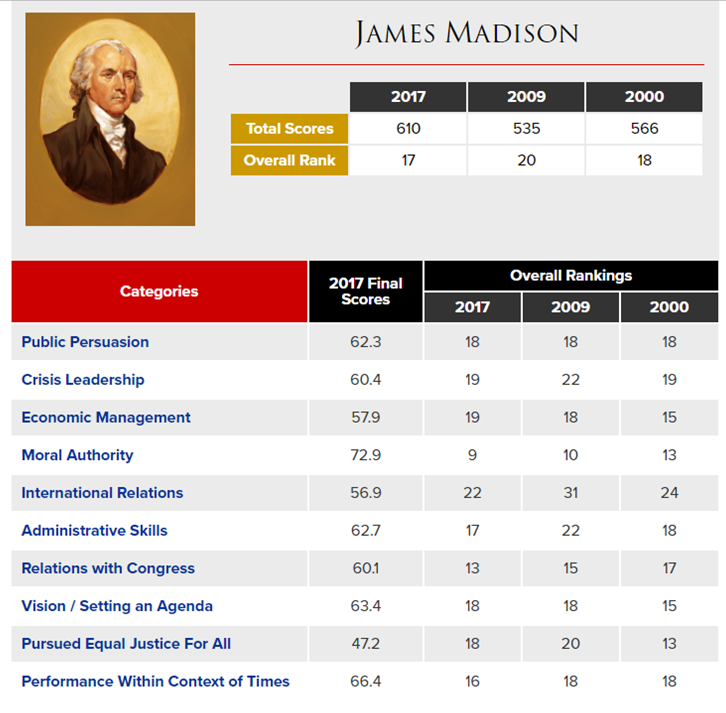 Constitution-smonsitution, yes he has an impressive resume, but did Madison get an "A" on his "To Kill a Mockingbird" essay in 9th grade? When the British marched on Washington, D.C. during the War of 1812, they burned many important buildings, including the Navy Yards, the unfinished U.S. Congress Building, the Treasury Building... and the White House. Madison's wife, Dolley, saved the large portrait of Washington as she fled. The inside of the White House was destroyed, and the exterior walls were badly charred. After the fire, Madison lived in the Octagon House before moving back into the partially reconstructed White House in 1817. Contrary to popular belief, this is NOT where the White House got its name. A myth emerged in 1811 that during the rebuilding of the structure after the fire, white paint was applied to mask the burn damage it had suffered, giving the building its namesake hue. The name "Executive Mansion" was used in reference to the White House until President Theodore Roosevelt established the formal name by having "White House–Washington" engraved on the stationery in 1901. Both of Madison's Vice Presidents died while in office. 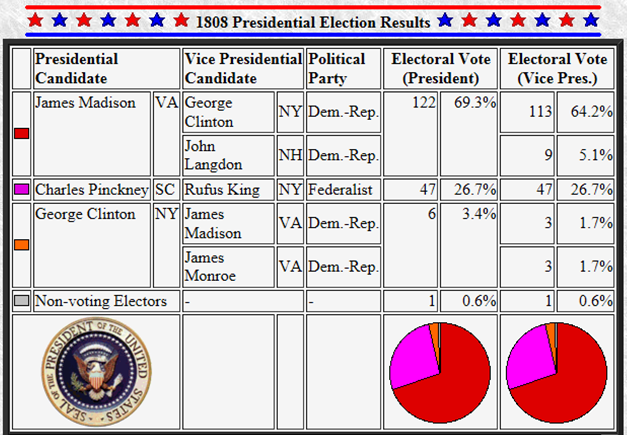 George Clinton died in 1812, so Madison finished out his first term as President without a VP. 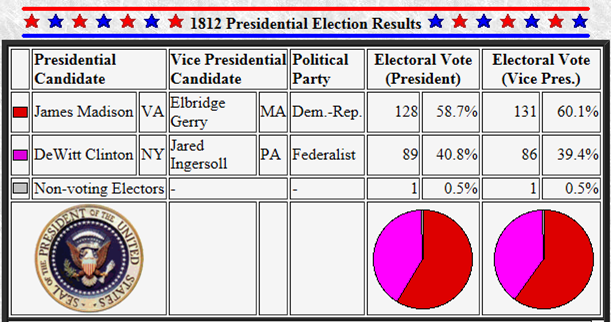 In 1814, Elbridge Gerry died, leaving Madison without a VP for the rest of his second term as President. Madison was the first U.S. President to have been a Congressman before becoming President. 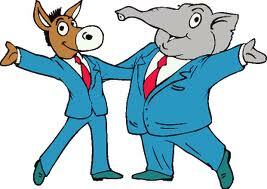 He served in the U.S. House of Representatives and represented Virginia. During the American Revolution, Madison was afraid that the wrong people might read his letters. 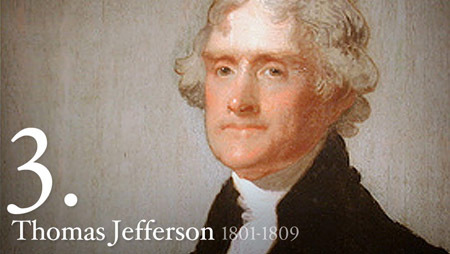 As a result, he used a secret code when he wrote to Thomas Jefferson and other friends. Madison's last words were, "I always talk better lying down." 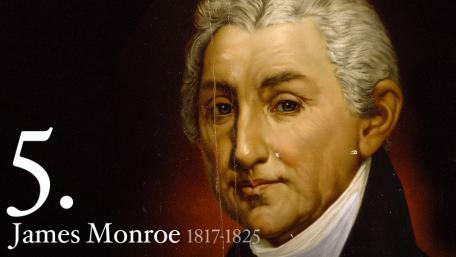 He was the last of the Founding Fathers when he passed in 1836 at the age of 85.